Bahrain, or officially, the Kingdom of Bahrain, is a monarchy under the Al Khalifa royal family and is home to over 1.3 million residents. The country covers over 765 square kilometres of land and sits comfortably on an island in the Persian Gulf. Considered to have a high income economy by the World Bank as well as a high human development index (ranked 48th in the world), Bahrain has recently invested into its banking and tourism sectors as well as exporting large amounts of oil. Discovered only recently in Uruk, Iraq, Sumerian Cuneiform clay tablets mention the Ancient Dilmun civilization basing itself centrally in Bahrain, these have been dated to the end of the 4th Millennium BC. However, it’s also believed that the Phoenicians may have had small societies in the region from 3200 BC to 1200 BC and many historical sources such as the Green historian Herodotus and the Greek geographer Strabo claim that the Phoenicians actually originated from Bahrain. Mentioned later on in a duo of letters written around 1370 BC, Bahrain is again mentioned as the central site for the Ancient Dilmun civilization and cites that during this time that Dilmun was renowned for trading valuable metals such as lapis lazuli and gold alongside other luxuries such as pearls, glazed stone beads, ivory and precious woods. Following 1250 Dilmun is mentioned in many Assyrian inscriptions to have been conquered and under rule of the Assyrian king. It’s also believed that Dilmun came under control of the Kassite dynasty later on. Around 700 BC, it’s believed that Sennacherib, king of Assyria attacked and captured Bahrain again. A short while later, Babylon began to control the region and this has been cited via Neo-Babylonian administrative records dated to 567 BC. However, it was only a short while later in the late 6th Century BC that the nearby Achaemenian dynasty of the Persian Empire drew its eyes to Bahrain and conquered it too. Following this, the Parthian dynasty conquered the entire Persian Gulf region in 130 BC and would continue to rule the region until the early 3rd Century AD. Succeeding the Parthian dynasty, from around 200 AD onwards the Sassanid dynasty ruled over Bahrain after defeating the Parthians at the time in the region. They continued to rule the region until around 600 AD when the rise of Islam signalled a change in the country’s leadership and envoys from Mohammed spread across the region, with Bahrain converting as one of the first fully Islamic countries. Al-Ala’a Al-Hadhrami began to rule the country under the Prophet Mohammed, allowing the Islamic faith full control of the region from 629 AD onwards. Eventually, Al-Hadhrami was forced out of the country by revolutionaries upon the death of Mohammed three years later in 632 AD, however, Abu Bakr, the new Caliph or leader of the sect, sent Al-Hadhrami back into Bahrain with a large army to reconquer the country. Although he did take back over the country, he was replaced when Umar, the new Caliph, replaced him with Uthman bin Abi Al Aas Thaqafi. In the start of the 10th Century AD, the Qarmatians had begun terrorizing the Bahrainic government forces and had massacred pilgrims travelling to and from Mecca, one of the holy Islamic cities. Shortly after, Abu Said Al Hasan Al Janaby led the messianic Ismaili sect to begin the Revolution of Al-Qaramita and after taking over the city of Hajr, Bahrain’s capital, as well as Al-Hasa, he formed a republic. The sect began attacking Muslim holy sites, sacking Mecca in 930 and desecrating the Well of Zamzam with corpses of Hajj pilgrims, and taking the Black Stone, of the single most sacred Islamic relics, from Mecca to Al-Hasa. Mysteriously however, the stone was returned in 951 AD, tossed into the Great Mosque of Kufa in Iraq in sack, attached to it was a note stating “By command we took it, and by command we have brought it back.” This treatment of the stone caused it to break into seven pieces. The Qarmatians rapidly became the most powerful force in the Persian Gulf and the Middle East. A combination of a defeat by the Abbasids in 976 AD and a revolt in Bahrain in 1058 AD by members of the Abd Al-Qays tribe, caused the Qarmatian society to collapse and subsequently become ruled over by the Uyunids in 1076 AD. For almost two hundred years, the Uyunids ruled over the country until the Usfurid dynasty rose to power in 1253 AD. As a variety of Persian-based Arab Kingdoms waned and grew around the Persian Gulf and Middle East regions, the power shifted rapidly between groups until the rulers of Hormuz obtained Bahrain and the other nearby islands as tributaries. In the middle of the 15th Century AD,the Banu Uqayl dynasty took control of Bahrain and founded the Bedouin Jabrid dynasty. This dynasty in turn rapidly took control of most of eastern Arabia as well. Later on that century in 1489, the Arab navigator Ahmad Bin Majid assisted Portuguese explorer Vasco da Gama find routes from Africa to India and his maps of Bahrain and the local waters were likely seen by the Portuguese. The first Portuguese ships entered the Gulf region in 1485 AD. Following Vasco da Gama’s voyages around the Persian Gulf and the Portuguese’s battles against the Ottoman Empire, the Portuguese sought control of Bahrain and seized the opportunity presented to them when the Kingdom of Hormuz fell in 1507 and the princes of Al-Hasa took control of the country. A combined effort by the Portuguese-Hormuz forces lead by Antonio Correia was able to conquer Bahrain in 1521 but lost it subsequently to the Al-Hasa princes again in the same year. More Portuguese forces were deployed and managed to completely subdue the region and they managed to take control of the region for over eighty years, but were driven out by a Bahraini uprising in 1602 led by Rukn Ed-Din. Following the uprising there was a power vacuum and this saw the Persian ruler, Shah Abbas I, take control of the region for the Safavid Empire. For over a hundred years until 1717, the Persian Safavid Empire ruled Bahrain through the use of ideology and the manipulation of local rivalries rather than brute force. This saw mass intellectual flowering especially among the Shia theological elite and through the use of the clergy the Safavids were able to secure excellent trade routes and wealth. However, this strategy was almost too successful and the clergy quickly gained widespread support and highly intellectual capability, as the Safavid Empire was challenged, the clergy gained more support if the Safavids oppressed them and trade routes would fuel the clergy further. This instability between the Safavid Empire and the clergy opened up opportune moments for many other civilizations and eventually Afghani forces invaded, resulting in the near-collapse of the Safavids, shortly after; Omani forces invaded and took over the country. The Persian Safavid Empire tried to take it back by force but saw much of the country destroyed, eventually culminating in the agreement of the sale of the country from the Omani governing force back to the Safavids. However, this also showed weaknesses of the Safavid Empire, and Huwala tribes in the region rapidly seized subsequent control. Upon the ruler of Bahrain, Sheikh Jubayr, travelling for the Hajj pilgrimage, the Shah of Persia Nadir Shah decided to seize control of the country again via assistant from the British and the Dutch, recapturing Bahrain again in 1736. However, the Persian Empire’s power on the region weakened and in 1753, Bahrain was taken by the Nasr Al-Madkhur dynasty. Around thirty years later in 1782, further war broke out between the two factions and the Bani Utbah dynasty over control of Zubarah, a wealthy and desirable town in modern-day Qatar. The three factions warred over the town and when the Persian forces were defeated, the Bani Utbah switched course and headed to Bahrain, taking over the main fort in the region in 1783 and securing rule of both Bahrain and Zubarah in Qatar until 1797. 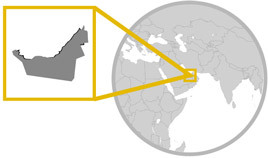 Further struggles with Omani forces are known to happen until the beginning of the 19th Century. By 1820, the Al Khalifa tribe of Bahrain had gained notable power and entered a treaty with Great Britain which, at the time, had become the dominant power in the Gulf region. A further treaty strengthened bonds between the country and Great Britain in 1861. For the next hundred years until the 20th Century, Bahrain was the focus of a plethora of political processes as a variety of parties ruled the peninsula and Bahrain repeatedly made and broke alliances with various countries until two more treaties were finalized between Bahrain and Great Britain in 1880 and 1892 making it an official British protectorate. By the end of the 19th Century, Bahrain had become one of the most populous and prosperous trading centres of the Gulf region and had weaned dependency away from pearling. However, Britain’s absolute dominance had become increasingly apparent and in 1892 following the signing of a treaty prohibiting Bahrain from selling land to other nations, a revolt and uprising shook the nation as the ruler of Bahrain, Sheikh Issa bin Ali called for help from the British forces, whom in turn assisted with quelling the uprising but killing protesters in the process. In the early to mid-20th Century, Charles Belgrave, the British advisor to the current Sheikh, Hamad ibn Issa, essentially had a de facto rule over the country and through his efforts saw the country’s first modern schools open in 1919 and 1928, the country’s first modern hospital beginning work in 1903, the development of the pearl diving industry and the abolition of slavery. However, in order to counter opposition groups managed by the Sheikh, the British deposed him and replaced him with his son as well as exiling the heads of many opposing merchant and noble families. Upon oil being discovered in 1932 by the Bahrain Petroleum Company, the country began to become rapidly modernized and relations with the United Kingdom grew stronger with the latter moving their entire Middle Eastern Naval force to protect the region in 1935. Upon the start of the Second World War, Bahrain joined the Allies in 1939 and saw Italian bombs dropped on its oilfields and although causing minimal damage, forced the Allies to strengthen their defences in Bahrain as a valuable fuel source, further stretching their forces internationally. Following the end of World War II, anti-British riots spread throughout Bahrain, motivated by the National Union Committee (NUC), a leftist nationalist movement. Formed in 1954, the movement was designed to voice the opinions for the labour unions and it called for the British to pull out of Bahrain and for political reforms. The British quickly declared the NUC illegal and arrested, imprisoned and exiled many of its members. However, underground cells of the NUC continued to persist and provoked riots and strikes into the 1960s. In 1965 these clashes culminated in the March Intifada, a violent uprising against the British forces sparked off by the laying off of hundreds of Bahraini workers from the Bahrain Petroleum Company. Three years later in 1968, Britain announced its decision to pull out of Bahrain and end the treaty with the Gulf region. Bahrain made an attempt to form a union with the other Arab states in the region including Qatar and the United Arab Emirates but ultimately failed when the sheikhdoms could not agree on the terms of the union well over three years later. Eventually, Bahrain became a separate entity as the State of Bahrain in 1971 and due to the 1973 Arab-Israeli war and the 1975 Lebanese Civil War, the country’s economy shot through the roof as demand for oil skyrocketed and the banking sector was offered new locations in Bahrain by the Bahraini government. For the next twenty years from 1980 onwards into the 90s, Bahrain was repeatedly criticised for the lack of democratic reforms to its government and this in turn saw both rioting and fatalities, only ending when Hamad ibn Isa Al Khalifa became the Emir in 1999. For the first time ever, non-Muslims and four women were appointed to the Consultative Council in 2000. In 2001, Emir Hamad ibn Isa Al Khalifa proposed that Bahrain should become a constitutional monarchy with an elected parliament and an independent judiciary, not dissimilar to the United Kingdom and with the support of the Bahraini national population, the Emir became King. Following his coronation, the King gave women the right to vote as well as releasing all political prisoners. Finally, as part of the change, the State of Bahrain was renamed as the Kingdom of Bahrain. It also participated in military action against the Taliban via the deployment of a frigate into the Arabian Sea for rescue and humanitarian operations and it was subsequently deemed as a major non-NATO ally. Finally, Bahrain and Qatar improved relations following the settlement of the dispute over the Hawar Islands by the International Court of Justice in The Hague. For the first time ever, women were allowed to stand as candidates in the 2002 local elections, despite failing to win a single seat. Later on that same year, the first parliamentary elections in well over thirty years were held for a 40-seat parliament and these included a dozen Shia Muslims, overall it’s estimated around 50% of the country took part in the voting. In 2003, thousands of victims alleging torture demanded that the King cancel a law that prevented them from suing their aggressors. Bahrain also opposed the invasion of Iraq and offered Saddam Hussein asylum a few days prior to the invasion. 2004 saw the first woman to head a government ministry, Nada Haffadh, become health minister. Following this, fighting broke out in the Iraqi holy cities of Karbala and Najaf and, as a response, protests broke out, forcing the King to sack his interior minister after police tried to prevent the protest. The country also negotiated a free trade agreement with the US but was strongly criticized by Saudi Arabia for the move due to it causing a supposed hindrance in the integration of the regional economies. In 2005, a fully-elected parliament was demanded from thousands of protesters. With Shia Muslims winning 40% of the seats in the 2006 elections, Shia Muslim Jawad Al-Arrayedh was voted in as deputy prime minister. 2008 saw Houda Nonoo become appointed as the first Jewish Bahraini ambassador to the USA as well as the Arab world’s first Jewish ambassador. Later on the same year, many were arrested who were alleged to detonate home-made bombs during Bahrain’s national celebrations. Bahrain and Qatar also proposed the construction of the Qatar-Bahrain Causeway (aka the Qatar-Bahrain Friendship Bridge) which would join the nations and be completed shortly before the FIFA 2022 World Cup in Qatar. In 2009, over 170 prisoners who had been charged with endangering national security were pardoned by the King, including 35 Shia Muslims who had been tried on charges of attempting to overthrow the state. Twenty Shia opposition leaders were arrested on charges of plotting an overthrow of the monarchy via promoting violence and sabotage in 2010 and upon the election date, only the biggest Shia opposition group, Al Wefaq, was able to make the smallest of gains. Starting in 2011, Bahraini residents began to protest in hopes of reforms for greater political freedom and human rights, although originally intended to be peaceful, and, able to stay that way for a few days, eventually the scene turned bloody as police opened fire on protesters, killing five. However, after the government ordered troops and police to withdraw, peaceful protests reconvened at even greater numbers than ever before, peaking at over 150,000. Requested by the government, Saudi-lead GCC forces entered the country and the opposition declared it a state of occupation. The next day, the King declared a state of emergency and ordered the military to retake control over the country, in the process of the following riots and police suppression, three policemen and three protesters were killed. Eventually the state of emergency was lifted and peaceful protests reconvened, being staged mainly by opposition parties, but smaller-scale clashes occurred outside of the capital almost daily. The police response became brutal; beating protesters other unarmed civilians at checkpoints, denying medical care and carrying out midnight house raids in Shia neighbourhoods. During this time around three-thousand people were arrested and five were killed during torture by police. Eventually the torture and arrests ceased, but it’s known that over 120 people have died since the beginning of the uprising and that the Bahraini government has refused entry to several international human rights groups and delayed a visit by a UN inspector. Mah ah sah-lah-mah Good Bye! Hal tatakallamo alloghah al Enjileziah / Alarabiah? Hahl tah-tah-kah-lah-moh ahl-oh-gah ahl Ehn-jill-ehz-ee-ah / Ah-lah-rah-bee-ah Do you speak English / Arabic? Hal beemkanek mosa’adati Hahl beam-kah-nehk moh-sah-ah-dah-tee Can you help me? Above are a few common Arabic phrases to help you get around. Arabic is the official language of Bahrain with Bahraini Arabic as the local dialect and most widely spoken version of the Arabic language. However, English is incredibly widespread and used among businesses and politicians frequently. Additionally many people speak Persian, Urdu, Malayalam and Hindi, with many institutions being bilingual, usually in English and Arabic. The dominant religion in Bahrain is Islam with around 70% of them being Shia Muslims and the remainder being Sunni Muslims. However, other prominent religions in the country include Hinduism and Catholicism, making up around 10% of the population each. Additionally, Protestantism makes up 5% of the population, Buddhists make up another 2% and similarly, another 2% are Atheist. Additionally, 1% identify as Orthodox Christians (with about 1000 members) and 1% are said to have other religious beliefs. There is also a very small, close-knit Jewish community of 36-50 people. Believers of non-state religions enjoy religious and social freedoms like any other developed country. Like many other countries in the Gulf region, traditional Bahraini architecture follows an Islamic style with strong use of straight edges with repeated circular symmetry. It’s common to incorporate a wind tower into the design to help ventilate the house or building and typically features a courtyard in the centre of the structure and sometimes a couple of courtyards. The rooftops would be structured to help catch summer breezes and direct them into the house whilst featuring thick walls to keep the house warm during winter months. However, following the economic improvement of the 1970s, western-style buildings became incredibly widespread and today these are more prevalent than their old-world counterparts. There are only few of museums in Bahrain but these two are incredibly prominent, they include the Bahrain National Museum which was opened in 1988 and serves to document Bahrain’s entire history from contemporary to ancient times as well as the natural and religious histories in the country, and the Beit Al Qaran which is dedicated to the Islamic arts and manuscripts of the Quran. Common rules and social expectations surrounding clothing are more relaxed in Bahrain when compared to its neighbours, but female attire still typically consists of the Hijab (a veil covering the head and chest) and the Abaya (a long robe-like dress covering the whole body). Male attire typically includes the Thobe (a body-length garment with long sleeves), the Keffiyeh (a type of cloth-like headdress) and the Agal (a thick black cord worn over the keffiyeh to keep it in place). Historically, Bahrain is mentioned as the land of Dilmun in the ancient text, the Epic of Gilgamesh, written well over three thousand years ago. With most authors writing in a classical Arabic style, famous and popular authors include Qassim Haddad, Ahmad Muhammed Al Khalifa, Ali Al-Sharqawi and Ebrahim Al-Arrayedh. However, more recently, poetry has taken on prose and free verse styles centring on both personal and political matters with publications published in Arabic and very rarely in English. Female writers too are prominent within the region with poetry being a principle skill of Bahraini women starting in the 20th Century. Notable female writers include Fawziyya Al-Sindi, Fathiya Ajlan, Iman Asiri, Hamda Khamis and Fatima Al-Taytun, it’s said that over one sixth of all poets during the 20th Century were female. Bahrain’s calendar begins with a holiday on January 1st for New Years’ day, moves on to the 1st of May which celebrates another holiday on Labour day, then this is followed with two holidays on National Day and Ascension Day on the 16th and 17th of December respectively. Bahrain also celebrates many Islamic holidays like its neighbours, including the Islamic New Year, the Day of Ashura, the Prophet’s birthday, the Little Feast, Arafat Day and the Feast of the Sacrifice. Clubs in Bahrain are few and far between but are at an incredibly high quality when compared to clubs worldwide, this is especially apparent when looking at the Bushido Lounge which utilizes an incredibly powerful oriental style, wall scrolls, imagery and heavy use of red colours to create a truly unique nightlife experience. For a slightly smaller yet no less active venue, you’ll love the Ibrida. The club features an in-house DJ, a large dance floor and often has live music and bands play in it, the style is more of a contemporary western one and sees some of the top new international hits played all throughout the night. Bahrain used the Bahraini Dinar (currency code: BHD) which can be divided down into 1000 Bahraini Fils. BHD 1 is equivalent to around $2.65 or £1.58. Coins come in 5 and 10 fils amounts in Brass, 25 and 50 fils amounts in Cupro-Nickel, 100 films in bimetallic Brass and Cupro-Nickel. Bank notes are available in 500 fils, 1 Dinar, 5 Dinar, 10 Dinar and 20 Dinar variants. Bahrain’s main economic produce comes in the form of Petroleum exportation and exports of similar products as well as Aluminium and Textiles. In regards to oil exportation, Bahrain has seen an annual economic growth of 5.5% since 2001 and trades mainly with Saudi Arabia, India and the United Arab Emirates at 3%, 2.2% and 2% of all trades between these nations respectively. Oil makes up 27% of all exports, but a substantial amount of trades are made up with Iron ores at 11%, as well as around 3% which are petroleum gases. Additionally, around 8.4% are refined variants of aluminium with another 8.2% as unrefined variants, 6.5% are made up of Aluminium plates and sheets, around 5% of trades are Aluminium wires of various kinds and another 5% makes up many other Aluminium products, pipes, scrap and such. The remaining 25% of trade is split fairly evenly between air conditioners, cars, minerals and chemicals, acidic alcohol, cheese, food preparation materials and women’s clothing. Like many other Middle Eastern nations, cities are developed widely in Bahrain and thus ATMs are widespread, however, using another bank’s ATM may incur a fee for doing so. Also similarly to other nearby Middle Eastern nations, as well as most countries in the west, Bahraini banks offer three types of bank accounts including Current Accounts, Savings Accounts and Fixed Deposit Accounts. Current Accounts are the most flexible and usually come with an unlimited amount of free withdrawals during the day. However these accounts typically have the lowest interest rates. Savings Accounts are more balanced out and allow less free withdrawals during day-to-day life but in return tend to offer much better interest rates. Fixed Deposit Accounts restrict the user to a few, or only one, withdrawal a year. However, in return for this solidarity, the bank will typically offer the highest interest rates available but will normally expect regular deposits to be made into the account. In Bahrain, there is no form of personal, corporate, withholding or value added tax at all. However, a municipal tax of 10% on the monthly rental of residential and business properties is applicable and a 5% tax on all hotel services and entertainment is also applicable. Generally speaking, a tax rate of around 5% is applied to all imported goods, but many food products, capital goods, raw materials and medicines are exempt from this. Bahraini cuisine is limited due to the importation of most of its food, this in turn is due to limited land space, but it does grow a fair amount of dates, citrus fruits, mangoes, tomatoes, bananas, pomegranates and cucumbers. Bahraini cuisine also uses a lot of fish including the rabbitfish, bream and mackerel in their dishes. Dishes may include Khubz (a large type of flatbread often served with fish sauce) and Qoozi (grilled lamb with rice, onions, boiled eggs and spices). Additionally, Halwa Showaiter, a jelly made with corn starch, nuts and saffron, is a popular desert in the region. Similarly popular is Gahwa, a type of coffee, which is drank throughout the region as part of a traditional welcome to a household. It’s common for open-air cafes to serve these dishes, deserts and drinks alongside Sheesha, a type of flavoured and sweetened tobacco, which is regularly enjoyed by a majority of the population. Residents of Gulf Cooperation Council (GCC) countries may also apply for a 72-hour visa or a seven-day visa upon arrival at the airport if they have already stayed for more than six months in their country of residence. Bahrain’s health care system is universally free to all Bahraini citizens and is incredibly cheap for expatriates, but unlike most other Gulf States, Bahraini nationals form the majority of Bahrain’s physician and nursing staff. Both public and private hospitals alike are widespread throughout the country and the life expectancy of Bahrain is high as a result with the average as 73 years of age for men and 76 for women. AIDS, HIV, Tuberculosis and Malaria are nearly non-existent within the country and vaccination against TB and Hep B are sponsored strongly by the Ministry of Health. However, Bahrain’s obesity rate is incredibly high as around 29% of all men and over 38% of all women are classified as obese. In turn this has substantially boosted the rates of both diabetes and heart disease which sit at 5% and 32% of all deaths in the country. Additionally, around 18% of Bahraini nationals are carriers of sickle cell anaemia and 24% are carriers of thalassemia. As Bahrain had developed itself more and more rapidly, the transportation infrastructure has had to move forwards with it and in turn, over four thousand kilometres of roads have been built with around three thousand kilometres of them being paved. Additionally, multiple roads have been constructed to link together the nearby islands, as well as the four-lane King Fahd Causeway joining Bahrain to nearby Saudi Arabia and the planned Qatar-Bahrain Friendship Bridge, connecting Bahrain to Qatar. Although there are no railways in Bahrain as of the moment, there are plans to connect the country to the rest of the Persian Gulf via railway as well as implementing a light rail network within Bahrain itself. There are two airports within the country, Bahrain International Airport and Isa Air Base (with 4 and 3.8 thousand kilometres of paved runways respectively), as well as a single heliport. Bahrain is also home to three harbours in Sitrah, Manama and Mina Salman which includes nine ships over 1,000 tons in weight (4 barge carriers, 4 containers and 1 petroleum tanker). P.O. Box 10306, Manama, Bahrain. Office Hours: The Embassy' working days are Monday to Friday. Office Hours: 08:00- 15:00 hrs. Consular Section: 08:00-11:30 hrs. Office Hours: U.S. Citizen Services-same as above and Sunday 8:00 a.m. -12:30 p.m.; Tuesday 1:00p.m.-3:00 p.m. The main phone lines in the country are Batelco, Zain (MTC Vodaphone) and VIVA. There are over 200,000 main lines in use with over 1.1 million mobile phones active. Telecommunications use a modern fibre-optic system with a digital network for mobile services, these are linked internationally via a submarine cable to Asia, the Middle East, Europe and the US as well as having a microwave radio relay to Saudi Arabia and tropospheric scatter to the United Arab Emirates and Qatar, as well as a single satellite earth station, all on country code +973. The Internet services in the country have low user numbers of around 2,600 hosts and around 250,000 actual users. The country’s top code is .bh. It's important to note that outside web pages have been recently been frequently blocked following the Bahraini Uprising of 2011. There are few Bahraini Television broadcast stations, only numbering around 5. There are radio broadcasting stations consisting of AM 2, FM 3 and shortwave 0. 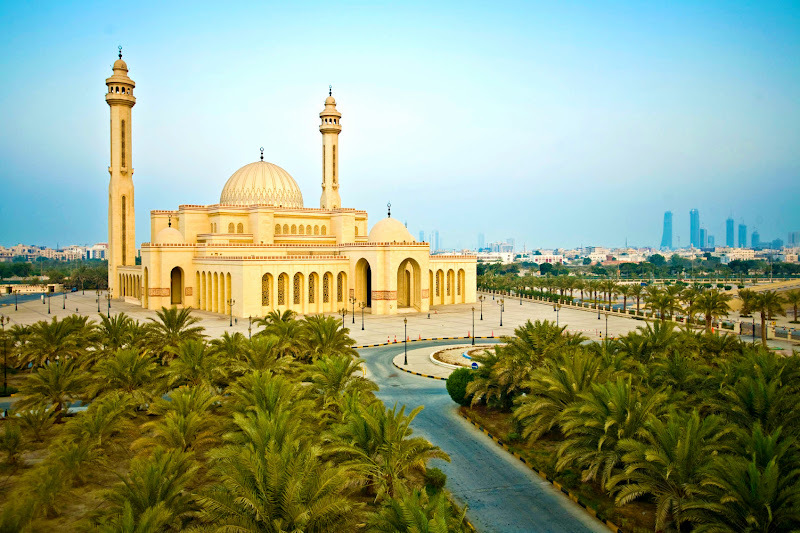 Bahrain has a very arid climate and as a result sees mild winters with extremely hot summers. Rainfall is sparsely spread and occurs mainly during the winter months, having around 2 millimetres of precipitation a day. However, in the summer months there is typically no rainfall whatsoever. As you’d imagine, the majority of sunshine hours occur during the summer, maximizing out during June at 339 hours of sunshine during the month. The peak of the summer season is between June and September and sees temperatures rising to an average of around 38 degrees Centigrade (100.4 degrees Fahrenheit) but has been known to soar up to 46.7 degrees Centigrade (116.1 degrees Fahrenheit) as early as May. Winter is typically around December to February and it’s normal to see temperatures drop to around 14.1 degrees Centigrade (57.4 degrees Fahrenheit) but temperatures plummeting to 2.7 degrees Centigrade (36.9 degrees Fahrenheit) have been recorded in January. Overlooking the Arabian Gulf and sitting firmly on the beautiful beaches of Zallaq, the Sofital Bahrain Zallaq Thalassa Sea & Spa Luxury Hotel features a brilliant blend of Arabic and French art styles and holds 262 rooms, each coming with a large balcony with stunning sea views, as well as a ballroom, a private island, a pool, a water-sports club and several restaurants and bars. Based right next to the country’s oldest market, Bab Al Bahrain, as well as the Bahrain Gold Souk, the Bahrain Intercontinental Hotel & Resort features an outdoor pool, spa treatments and three restaurants, and also is only ten minutes away from the nearest airport. The hotel itself incorporates a neo-Arabian style with deep red-brown furniture combined with blue and white architectural styles. The Domain overlooks the nearby coastline and is known to cater to the business district nearby, the hotel contains over 131 rooms and suites across 36 floors and offers not only a full valet parking service but a butler service, spa and fitness facilities and an indoor rooftop infinity pool with a retractable roof for when the sun is out and the heat gets turned up a notch. Located on the northern coastline and secluded from its peers, the Ritz-Carlton Bahrain Hotel and Spa features beautifully furnished rooms which include a twice-daily housekeeping service, a laundry service, 24-hour in-room dining, an interactive LCD multilingual plasma TV, on-suite bathrooms, high-speed internet access and a wonderfully ecstatic view of the shimmering blue Bahrain coastline itself. Moving over to Manama, the Baher Mariott Executive Apartments are only 10 minutes away from the closest airport and offers extremely large one, two and three bedroom apartments, all fitted with high-quality furnishings, a dedicated office area, a full-sized kitchen, wireless internet and a safe. The hotel also offers dedicated housekeeping, 24-hour security and room services as well as a safe and access to a rooftop pool and fitness area. 15 minutes’ drive away from the nearest airport, the Best Western Olay Suites Hotel features a hundred varied rooms and suites, featuring LCD TVs, a mini-bar, Wi-Fi Internet and a tea & coffee maker. The hotel itself includes two restaurants, a bar, a coffee shop, a health club, a sauna, a rooftop swimming pool and room service for all prior mentioned food outlets above. Coming complete with a full free buffet breakfast, free parking and free Wi-Fi, the Windsor Tower Hotel Manama actually holds its own nightclub, pool and two restaurants within its walls and includes 78 guest rooms, each fitted with a tub and shower, a refrigerator and a TV but also includes additional 24-hour room service. The hotel is located very close to some of Bahrain’s cultural districts and is only around a mile away from the country’s National Museum and Theatres. The Movenpick Hotel in Bahrain is considered a true paradise and is rated the only five-star hotel in the entirety of Muharraq, Bahrain. The hotel has been around for over ten years and features a swiss architectural style with a contemporary flair, entailing well-furnished but warmly-toned rooms coming with a range of features including air-conditioning, TVs, a minibar, hair dryers and safes in every room as well as Wi-Fi across the hotel. Crystal clear waters, a cooling sea breeze and a view that’ll take your breath away, sound like your cup of tea? Then perhaps you’ll like The Dragon Hotel and Resort which features all of this and more! The hotel has been designed to reflect the appearance of a sleeping dragon and features a range of villas, suites and chalets developed with a contemporary art style and furnishing array in mind, each one has been produced to optimize its inhabitants experience during their stay in Bahrain. With over 80 chalets and cabanas, the Al Bander Hotel and Resort has been designed with a distinctive Arabian stylization in mind and features a complimenting colour scheme and furnishing array to match. On a practical level, the hotel entails five restaurants, two outdoor pools, a marina and a wide range of leisure and sporting groups and activities for guests of all ages. All shipping agencies and airlines involved will require a valid certificate from a vet in the country of origin of the pet. Dogs must have a certificate of vaccination against rabies, parvo, hepatitis, leptospira and canine distemper administered no less than one month but no more than six months before the pet’s arrival in Bahrain. A vaccination booklet with all recorded vaccinations must be submitted. A health certificate must be submitted. Pets must be kept in a secure and comfortable cage clearly labelled with the owner’s name and address. A request form for the Veterinary Quarantine Division in Bahrain must be filled out. It should be noted that if a pet is brought in without the above, it may be exterminated or sent back to the country of departure. Even pets with all vaccinations and documents may be quarantined for up to 30 days. Across Bahrain today, over 4300 classes are run publically with a fairly even split of around 62000 male students to around 63000 female students. Out of the total amount of around 125000 students, around 62000 of them are Primary students, around 32000 are Junior Highschoolers and around 31000 are Secondary students. With such large investments into the education sector, the literacy rate of the entirety of Bahrain is at around 95% and around 3% of GDP comes from education expenditure. Today the country also is host to a range of higher education institutes including the Bahrain Polytechnic, the Gulf Polytechnic, the University College of Art, Science and Education, the College of Health Sciences and the Arabian Gulf University. Many of these institutes have been built in the last couple of decades. These institutes, as well as the education sector in Bahrain in general, are moderated by the Quality Assurance Authority for Education and Training. Applicants who wish to work in Bahrain will require a Masters or a Bachelor’s of Education Degree as well as a degree in line with the subject you wish to teach, with a teaching qualification (PGCE) and must have obtained these qualifications in the West (i.e. US, UK, Canada, Australia). Additionally, you need to be a native speaker of English and must have 2 years of experience. It’s important to note that candidates with international experience and/or a TEFL, CEFL, Delta or other similar qualifications will have a huge edge. Always ensure to check our guide on VISA & Work Permit Restrictions. Luxuries in Bahrain are expensive with a litre of Beer costing around BHD 1.30 ($3.50 or £2.10), a pack of cigarettes going for around BHD 0.90 ($2.40 or £1.40) and a bottle of mid-range wine costing BHD 9.80 ($26.00 or £15.60). Meanwhile, food costs are more reasonable with a meal at a restaurant ranging between BHD 2.00 and BHD 17.50 ($5.30 to $46.40 or £3.20 to £27.80), a litre of water costing BHD 0.45 ($1.19 or £0.71), a litre of milk costing BHD 0.51 ($1.40 or £0.81), 500g of bread going for BHD 0.32 ($0.85 or £0.51) and twelve eggs costing around BHD 0.77 ($2.00 or £1.20). Finally, housing costs are similar, with a one-bedroom apartment in the city centre going for BHD 340 ($900 or £540) a one-bedroom apartment outside of the city centre going for BHD 270 ($720 or £430), a three-bedroom apartment inside of the city centre costing around BHD 750 ($1,990 or £1,190) and a three-bedroom apartment away from the city centre costing about BHD 590 ($1570 or £940). Considered to be the best social club in the world by the UK Telegraph in its ‘Best of British’ 2010 awards, The British Club allows its members access to a bar, two pools of varying sizes, a play area for children and several dining options. Coral Bay has its own water-sporting club as well and allows members to take short boat trips, half and full day boat charters, jet skiing, water-skiing and banana boating as well as Diving and caters for members of all skill ranges and ages. The Dolphin Resort provides daily shows for 15 minutes at a time and offers participants the opportunity to swim with the dolphins, making it a perfect educational tool for children and adults alike. Stepping out of the water, Funland has its own Bowling Centre and this is used as a social hub by expatriates and nationals alike. Additionally, the centre has its own skating rink with an ice disco. Other activities include Al-Reem Tours and Al-Badr Travels which allow you to visit these areas and see the beautiful wildlife of the Hawar Islands, the stunning slopes of the mainland desert and travel on the ocean waves through fishing trips. In the old market areas especially, petty crime is minimal and on the whole the crime rate of Bahrain is extremely low. However, incidents of violent crime are slowly increasing and there are small underground drug and human trafficking incidents as well, however, around 65% of these crimes are not committed by Bahraini nationals. Bahrain was rated a 5 on a scale of 0 to 10 (with 0 being the most corrupt and 10 being most transparent) by Transparency International and 46th most corrupt country by the Corruption Perceptions Index 2007 out of 179 countries, with the most corrupt countries at the top of the list. Additionally, threat of terrorism is a concern as well but terrorist attacks are rare at most.